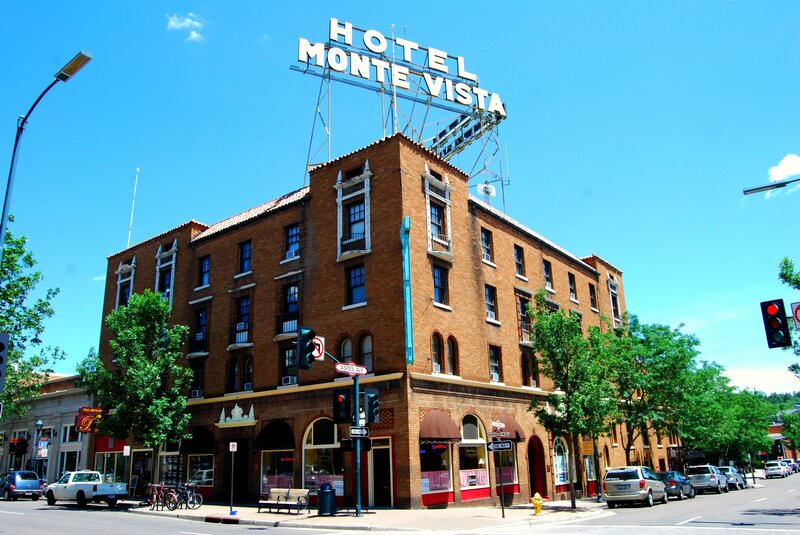 The Hotel Monte Vista is a famous and historic hotel in Flagstaff, Arizona. Built in 1927, it remains the centerpiece of the historic downtown district. The hotel contains 73 rooms on three floors, and dozens of celebrities have spent a night or two in its suites: everyone from John Wayne and Humphrey Bogard to Anthony Hopkins and Esther Williams. The hotel was also a filming location for the 1942 film Casablanca. The Monte Vista Lounge, also known as “Monte V,” remains a popular bar and entertainment venue, and the hotel remains a popular destination for guests visiting the area. In addition to being an excellent hotel and a hotspot for local nightlife, the Hotel Monte Vista is one of America’s most haunted places. The hotel has always been known for its hauntings, but a few particular characters are known to haunt its halls. The Phantom Bellboy, for example, is one of the most notorious ghosts in the building. Hotel guests have reported hearing a knock at their door and a muffled voice announcing “room service.” When guests open the door, there is no one present. Some guests have also seen the figure of a bellboy standing outside of room 210. John Wayne allegedly experienced this ghost on several occasions. Another infamous figure is The Meat Man, a bizarre long-term boarder who was known for his habit of hanging raw meat from the chandelier of his room. In the early 1980s, the lodger was found in his room—three days after he had died. A few days later, a maintenance worker was making repairs and left to retrieve a tool; when he came back, the lights were on, the television was on at full volume, and the bed linens had been ripped and scattered around the room. To this day, visitors have reported the television turning on randomly and the feeling of cold hands touching them in their sleep. The Hotel Monte Vista is truly an American paranormal spectacle. Depending on your dates and the number of beds, a stay at this hotel is relatively inexpensive—a room with a full bed is just $85 per night. Though they do not offer ghost tours, guests are encouraged to talk to the staff about their own paranormal encounters.